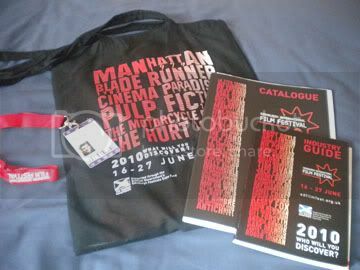 After some miscommunication and regathering of information, I have in my possession my delegate pass for the 2010 Edinburgh Film Festival. Upon browsing over the industry screening selections with Carter Moulton, founder of Film Gazing, we have set on a rough outline of how the following weeks will go in terms of what films we'll each be seeing. It all kicks off with the industry screening of Sylvain Chomet's animated feature and opening night gala for the festival, "The Illusionist." Starting tomorrow I'll be headed out to the theaters to see two to four films a day, so stay tuned for frequent updates and reviews of films from the festival. And as an unfortunate note, the industry screening of the highly-anticipated UK premiere of "Toy Story 3" is supposedly by invite only. That's not going to stop me from standing at the doorway trying to get inside. We'll have to wait and see how that unfolds.